Your baby will be cared for by experienced practitioners in a warm homely and loving atmosphere which allows them to explore and investigate though play. 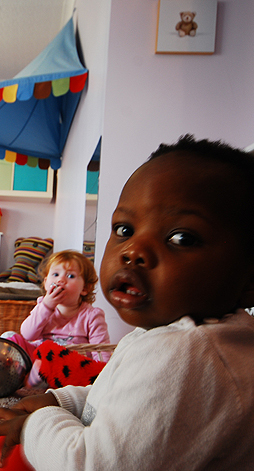 Care is taken to ensure that sleeping and feeding habits are a continuation of home life. We provide a daily diary and record meals, sleep, nappy changers and babies activities and achievements.